Thursday, March 2, 8PM @ the Bell House, FREE! Think human society is filled with unusual behavior? Try the empire of the ants. With over 13,000 species, these highly social beasties engage in everything from weaving and warfare to farming and vampirism. 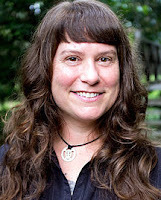 At the next Secret Science Club, evolutionary biologist and myrmecologist Corrie Moreau burrows into the intriguing lives of ants: their evolution, their intense symbiotic relationships with other species, their teeny tiny microbiomes, and their strange social structures and abilities. Dr. Moreau asks: Why do ants have a female-dominated society? Why are the tropics an evolutionary hotbed for ants? How are members of an ant colony like specialized cells in the human body? What are Dracula ants? Corrie Moreau is an associate curator and professor at the Field Museum of Natural History in Chicago. She studies the evolution and diversity of ant species, ant co-evolution with flowering plants and symbiosis, as well as the microbial species that live on and inside ants. Dr. Moreau has conducted field research in Peru, Ecuador, Borneo, Australia, and Madagascar. She combines her work in the field with molecular methods and next-generation sequencing to probe the ant genome. Her research has been featured in the New York Times, National Geographic News, Smithsonian, and Mental Floss, and on NPR and Brain Scoop. 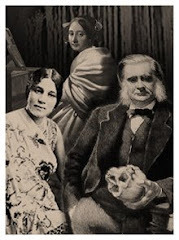 This biodiverse edition of the Secret Science Club meets Thursday, March 2, 8 pm @ the Bell House, 149 7th St. (between 2nd and 3rd avenues) in Gowanus, Brooklyn. Subway: F or G to 4th Ave; R to 9th Street.